Monkey Business may no longer be printed, but it hasn't gone away. 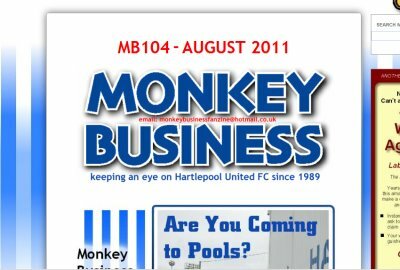 The Monkey Business team have spent the last few months setting up this website and preparing for the first issue to be published online. Monkey Business will be available on the first Friday of every month during the season, and it will be FREE! And previous issues will remain online, so you can't lose them, get them wet, or lend them to someone who doesn't return them. Monkey Business no. 104 will be much the same as it ever was, full of comment, humour, nostalgia, and the rest, so return here to read it, any time from August 5th.